Why does the Remington S9610 Slim Hair Straightener Work So Well at Straightening Short Hair? Are you one of those people with shorter hair who bought a hair straightening iron under the misconception that it will all work on any type of hair? If you are then you might get frustrated easily if the flat iron product does not do a good job straightening your short hairstyle. Don’t be discouraged though. There are flat irons in the marketplace that are said to do an exceptional job at straightening short hair. One of them is the Remington S9610 T|Studio Silk Ceramic Slim Hair Straightener. Read along as we review this short hair straightening iron for you. 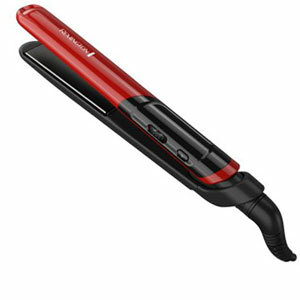 The Remington S9610 Slim Hair Straightener certainly gives you many options while you are using it. You can select from some 30 different heat settings (455°F max heat) and it’s ready to use in 15 seconds or less. It features a very versatile 1-inch inch floating plate size. These plates are ceramic coated with added silk infusion to produce an ultra-smooth hair straightening surface. 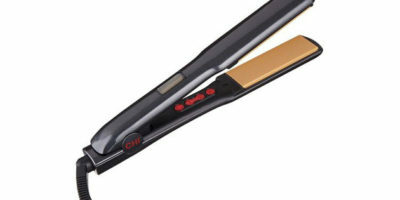 Although the temperature setting is done with a rheostat control, this flat iron still has a convenient digital temperature display. You can even lock the temperature in place so it will come on at the same temperature it was the last set at the next time you use it. 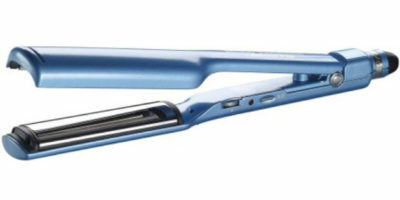 The Remington S9610 Slim Hair Straightener is lightweight (weighs just over 1-pound) and easy to use. It has rounded edges so it can double as a curler or it can help you add waves to your short hair too. 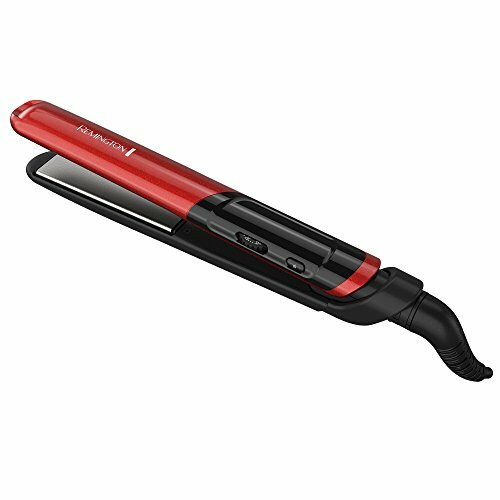 This flat iron also has a built-in auto-shutoff feature and comes with a convenient 9-foot length power cord with swivel end. There are many reasons that this flat iron works well for straightening short hair but there are two main reasons. The first is its 1-inch wide floating heat plate. These are the perfect width for straightening short hair. Short hair is normally very hard to crimp as you straighten it but the floating plate design also helps you keep this flat iron’s heat in constant contact with your short hair. The silk/ceramic heat plate coatings help a lot when it comes to straightening your short hair too. They provide an ultra-smooth surface for your short hair to slide across as you straighten it. This helps your short hair straightening process go faster and helps protect your hair more as you are straightening it. The warranty on this flat iron is not bad at all considering its low price point. You get a full 2-year warranty from the time you purchase it. One of the concerns we have with the Remington S9610 Slim Hair Straightener is the fact that you set the temperature with a rheostat dial function. The rheostat dial is not marked with anything but numbers so you have to kind of guess where the temperature is set when you first use it. We also don’t like where the on/off button is located. It’s in a place where it can be accidentally hit while using this flat iron if you are not careful. We all agree this is a very good flat iron for the price point it’s sold at. You can’t beat a flat iron that has 30 different heat settings, versatile 1-inch wide heat plates and that has added silk/ceramic technology. When it also includes such things as an auto-shutoff, salon length power cord and nicely rounded edges you know you are buying a good flat iron product. So if you are looking doe a budget-friendly flat iron that works great by all means you should consider the Remington S9610 Slim Hair Straightener for purchase.